Barra will tell Congress that GM plans to establish a plan to compensate crash victims and the families of those killed. DETROIT -- General Motors CEO Mary Barra will tell members of the U.S. Congress today that the automaker has already taken numerous steps to address safety defects more quickly and that she "will not rest" until GM has fixed the "deep underlying cultural problems" that allowed a deadly flaw in the Chevrolet Cobalt to fester for more than a decade, according to prepared testimony. Barra's return to Capitol Hill, 11 weeks after telling House and Senate panels investigating GM that she could not yet answer many of their questions about the Cobalt recall, follows the release of an internal report that uncovered what she called "a pattern of incompetence and neglect." It comes after GM recalled 3.4 million more vehicles on Monday for another ignition problem similar to that in the Cobalt. GM has now recalled more than 20 million vehicles in North America this year. In the prepared testimony submitted by GM and posted online by the House Energy and Commerce Committee on Tuesday, Barra says she has committed the automaker to act on all 90 recommendations from former prosecutor Anton Valukas, who conducted the internal investigation of the Cobalt recall. Valukas also is scheduled to testify today. Valukas will tell the committee that, although he found numerous examples of missteps by GM employees, “government officials (and perhaps judges and juries)” will have to determine whether anyone should be held liable in any criminal or civil matters, according to his prepared testimony. “Throughout the decade that it took GM to recall the Cobalt, there was a lack of accountability, a lack of urgency, and a failure of company personnel charged with ensuring the safety of the company’s vehicles to understand how GM’s own cars were designed,” Valukas says in the testimony. Barra will tell the committee that GM soon plans to establish a plan to compensate crash victims and the families of those killed. Ken Feinberg, the disaster compensation expert GM has hired to administer the plan, has been given “full authority to establish eligibility criteria for victims and determine compensation levels,” Barra says in her testimony. 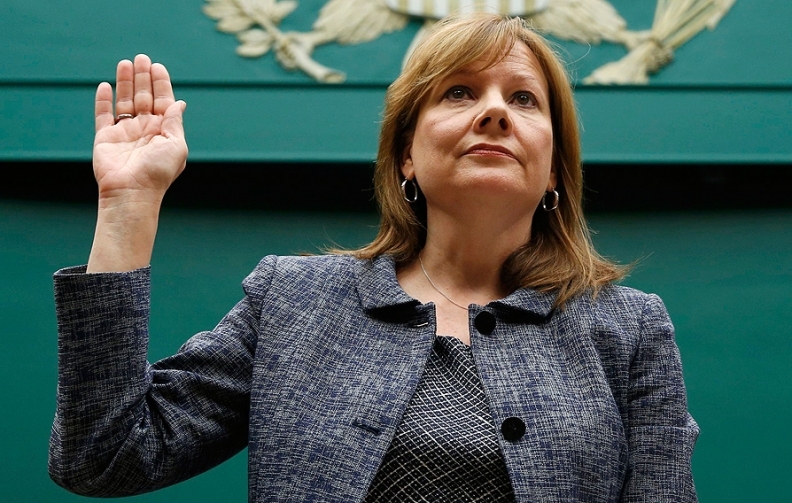 GM expects Feinberg to begin accepting claims Aug. 1, she says. GM fired 15 employees in connection with the Cobalt recall, including Ray DeGiorgio, the engineer who approved the car’s ignition switch even though it did not meet GM’s own specifications. A weak spring in the switch allows the key to turn out of “run” mode while the car is moving, cutting the engine, power steering and airbags. GM has linked the defect to 54 crashes and 13 deaths. It has recalled 2.6 million cars for the problem since February. GM says DeGiorgio also was responsible for the ignition switch in the 3.4 million more cars it recalled Monday, including the Chevrolet Impala, Buick Lucerne and Cadillac DTS. The company says it knows of eight injuries in six crashes that may be related to the problem, but no fatalities. GM said it plans to “rework or replace” the keys in those vehicles, using a solution very similar to what it offered starting in 2005 to owners of the Cobalt and Saturn Ion. At that time, though, it divulged the solution only through a technical service bulletin sent to dealers, rather than by issuing a recall and publicly notifying all of its affected customers. The solution involves putting a small plastic insert into the slot of the cars’ keys, which GM says will prevent a heavy key ring from pulling downward on the edge of the key and moving the ignition into “accessory” mode when the car experiences a jarring event, such as running over a pothole.